You know, in a very real way, bass truly is the last audio frontier. As I look around my home, most of my speakers have one thing in common. It's not their price (they're priced from $350 apiece to $18k per pair). It's certainly not size. It's not efficiency either (they range from 84 to 101dB). What they all have in common is that not one of them will do 20Hz. Few of them do 25Hz or even 35Hz with any degree of real authority. It's also interesting that every single tweak I've ever found to be a success seemed to have a profound effect on the bass performance of the system. Not only is 20Hz unattainable from most of my speakers, getting the best bass which they are capable of is a fragile notion. Good cables and wires are essential to great bass. Poor AC seems to deteriorate performance as does poor resonance tuning and a lack of vibration isolation. It all robs a system of bass performance whether it be in the form of pure bass power and extension, time smear or just a lack of overall detail. 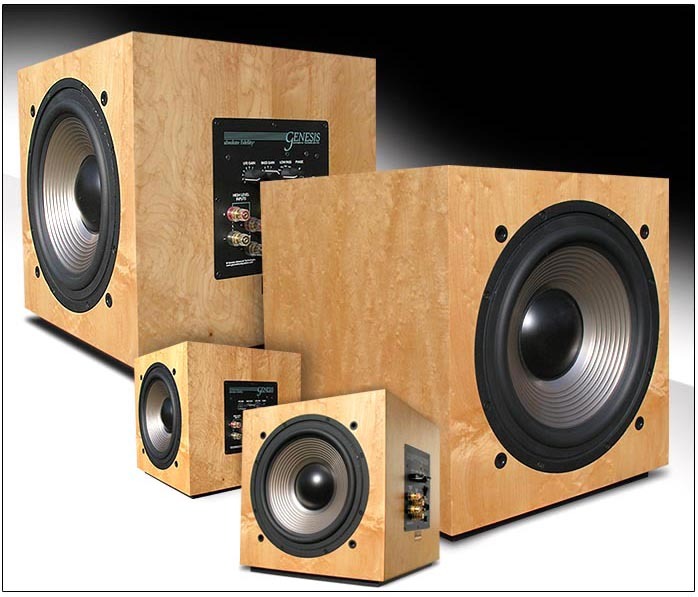 Even when considering the addition of a subwoofer, all these factors should be addressed. It's not that everybody agrees on the importance of bass though. Some wear the pride of ownership of inherently bass-shy speakers on their sleeves as if they knew something you don't. Years ago in a short-lived print magazine, I read a writer opine that those who like subwoofers are too easily impressed. 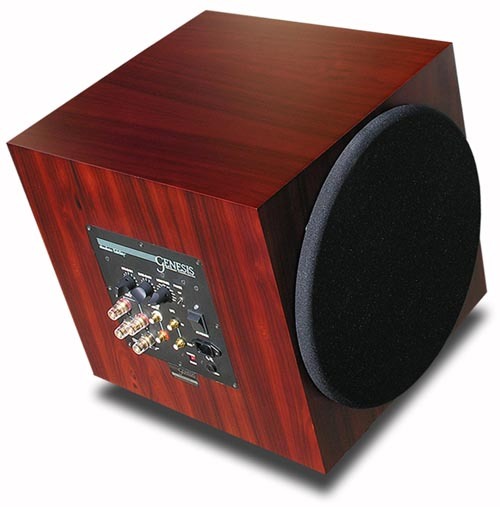 While it may be true that a subwoofer isn't a plug-and-play proposition and in the wrong hands can do more harm than good, the fact is that a well-designed and properly implemented subwoofer can and usually does transform a system even if the system does well on its own down into the 40 or 45Hz range. 40Hz is indeed pretty well down into the power range of bass and it's nothing to sneeze at - if your speakers can do it well. By that I mean if they can produce some semblance of power down that low and if they can also produce a fair amount of detail while minimizing distortion. All are mandatory for top-notch performance. But in this writer's opinion, deep bass performance should eventually be addressed in all systems. Think about it. In classical music, a composer spends a great deal of time and energy writing for the bassoon, tuba, double basses, kettle drums and tympani. Take them away and they rob the music greatly of its intent, not to mention drama, impact and spectral foundation. How can so many ignore their proper reproduction? It's not a matter of hedonistic bass gluttony; it's about reproducing all the music you were meant to hear. Never mind modern music which may contain synthetic bass at very low frequencies and unnaturally high amplitude. I was listening to a recording of Cream at Royal Albert Hall and it occurred to me how much of the music was in the nether regions. Bass puts the power in power trio. Proper bass reproduction is required to elicit all that Jack Bruce's majestic bass lines brought to their music, which was considerable. Ginger Baker didn't master the double bass drums and tom-toms so that your speakers could castrate them of their gravitas and if you think a standard 6-string Fender Stratocaster can't produce any bass or impact, think again. Good bass reproduction is incredibly important to fully appreciating what these guys were doing on stage. Without it, you're hearing only part of the story. trying to say is that bass is important and ignoring it doesn't represent an adherence to some higher calling. To my way of thinking, ignoring the proper reproduction of bass instruments is as stupid as ignoring the frequencies required to reproduce Ginger Baker's riveted cymbal or to put the sheen and texture on a solo violin or a sense of delicate presence to the wee triangle. If it was conceived by the composer, performed by the musician and captured on the recording, you should be able to reproduce it in your room. Period. In the old days it was a philosophical point of view that if the midrange was right, one could work around the bass and treble. 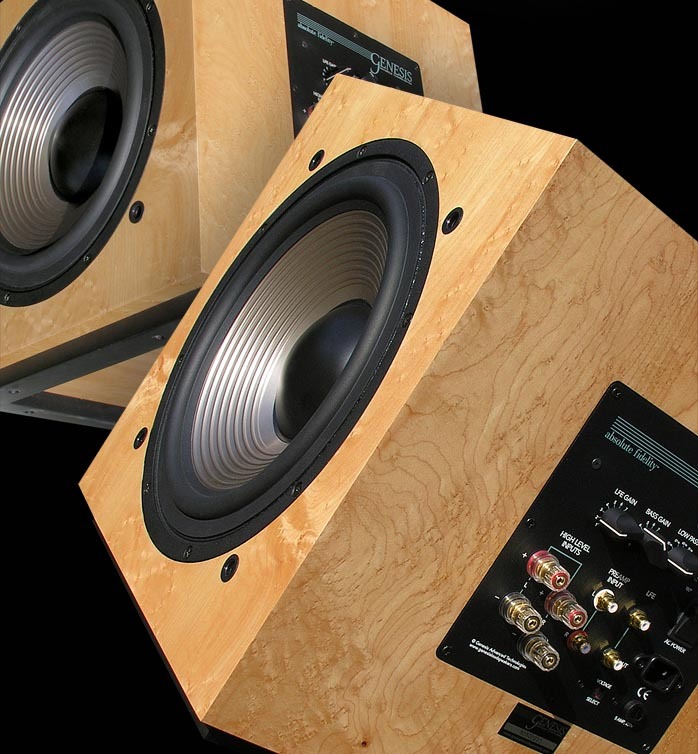 But in today's market, it's getting difficult to find a speaker that doesn't get that midrange right and it's time to address the almost forgotten and frequently maligned bass region. This was really brought home when I paid a visit to the home of MillerSound's Bill Legall for my Road Tour 13 stop and I've since paid him yet another visit. Listening to his Infinity IRS system -- or more relevantly, the bass it produced -- would be an eye-opener to most people I know, including those who think they've got good bass at home. Listening at Bill's place demonstrated how there's good bass and then there's natural bass and perhaps that writer should have just said that those who enjoy the bass performance of their speakers are too easily impressed. Listening to Bill's IRS system aptly demonstrates how off the mark most systems really are - if you know what naturally occurring bass really sounds like to begin with. Remarkably, good natural bass has little effect on the ears. If bass puts pressure on your ears, something's wrong. Clean, balanced, authoritative and undistorted bass does not cause listening fatigue. It doesn't beat you up and other than the fact that it sounds like nothing you've heard from reproduced bass before, it may even be less noteworthy and less dramatic than you'd imagine. The first time I heard the cannons from Tchaikovsky's 1812 Overture reproduced well, I realized that a lot of the commotion I'd been hearing up until that point was nothing more than the speakers contorting the signal as they strained to reproduce what was clearly beyond their reach. Good bass may compete with the rest of the spectrum for the brain's attention but it will never obscure midrange detail. On the contrary, clean well-balanced bass accentuates spatial relationships as it opens up and illuminates the soundstage. As it properly completes the musical waveform, it can actually bring out details that were previously shrouded by harmonic distortion originating way down low. While most never consider it, speakers can generate self-noise, too, particularly when struggling. No wonder why so many don't succeed with subwoofers. As I said, it's not plug and play. It takes some work but the payoff is huge. One other question I had for Gary was why so many subwoofers' low-pass filters (which control at what frequency they begin to take over) don't go lower than 40Hz. There are many excellent speakers that extend significantly below 40Hz but would still benefit greatly from a good subwoofer, my Tidal Pianos included. Yet the Tidals are far too strong into the 30s to properly blend with a subwoofer whose top end can't be curtailed below 40Hz. 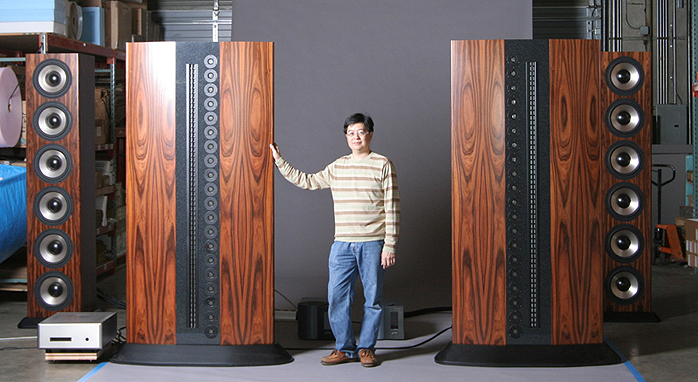 The Tidals plus such a subwoofer will create a big bass hump at their region of overlap. I also learned during the review of the Bryston 28B SST amplifiers that the Tidal's bass performance can be optimized with a superior and ultra-powerful amplifier, a comparable example of which I do not own. If my amplifiers can't combine with the Tidals to fully optimize these frequencies as the Bryston kilowatt monos could, perhaps it would be best to remove those frequencies altogether and leave them to a specialist such as the G-928? Sidebar 1: "When you get a sub, there are usually two ways of connecting the sub up to your system - line level from your preamp, or using the speaker binding posts. To that end, I've enlisted the help of Bryston's VP of Sales James Tanner who kindly agreed to supply me with their 10B Sub active electronic crossover. With it I'll be able to tailor the output of the G-928 subs to better integrate with the Tidals and other speakers in my house while properly high-pass filtering the main speakers. Removing the bass signal (at points yet undetermined) sent to the main speakers could have significant ramifications. First, even with full-range speakers, many woofers aren't as pleased to scale the depths of deep bass as you'd hope. My Pianos utilize dual 6.5-inch drivers and I expect that once relieved of the drudgery of the deepest bass, they will be able to sing both louder and prouder. There's also a good chance that once relieved of the excursions necessary for powerful deep bass, these smaller drivers will do an even better job of reproducing the midrange. It remains to be seen if this will be the case on the Tidals but I'll put good money on the fact that this is the case with most smaller speakers, particularly smaller two-ways and stand-mounts. 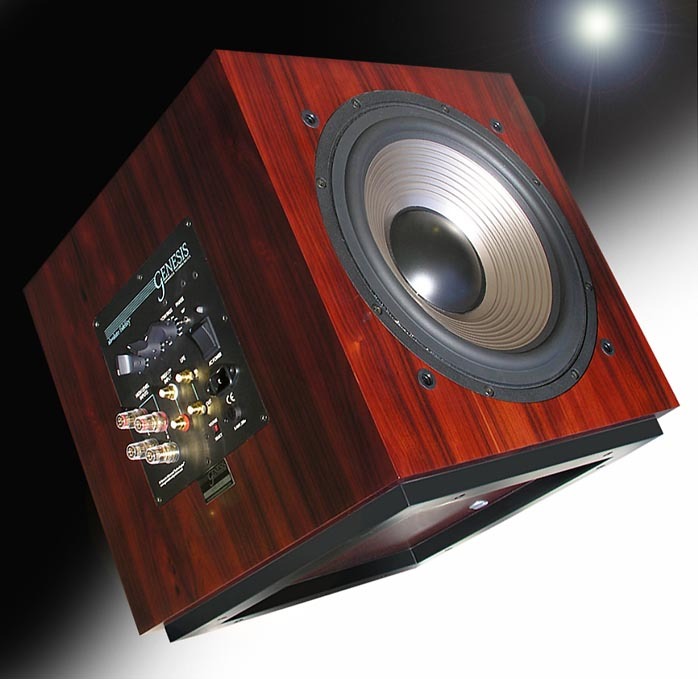 Of course, once the main amplifier isn't called upon to reproduce bass frequencies, its life too is made easier and most speakers can now make do with an amplifier at half the power or less. Now you can enjoy the confidence of knowing you've got more power than necessary or you can investigate some lower-powered amps of different persuasions. Suddenly you've got options. And options are good.